In today’s busy world, with so many demands on your time, you don’t want or need to be tied to the office. 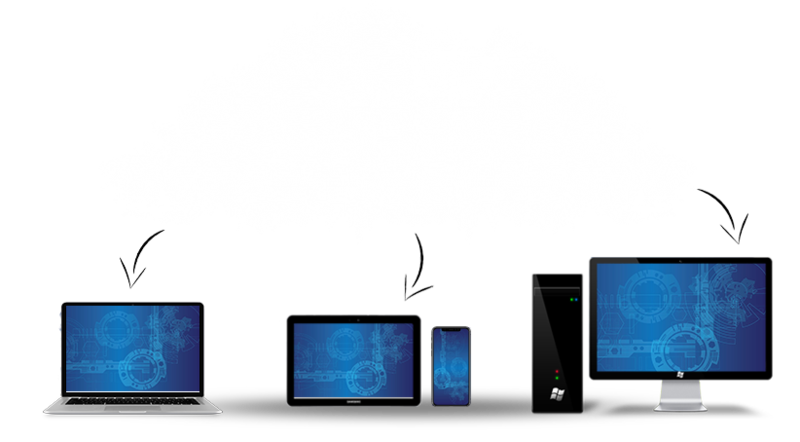 With a Cloud Solution from S B Systems you can enjoy access to your systems whilst on the go. Whether you are at home, in the office, on site, or on route, you'll have access to all the information you need to keep your business running smoothly and efficiently. Whether you want just a simple web application or need something more rich in features, we can help bring your project to life. Our Cloud Solution provides a secure and scalable platform suitable for business of any size, so if you'd like to discuss moving your S B Systems software into a cloud solution, or if you need a solution to make your current systems more accessible, give us a call. We don't promise the world, but you could get out and experience more of it with a cloud solution for your business! Having a cloud solution doesn't mean compromising on your requirements. We can offer solutions to meet your specific business needs, and if a feature rich system is what you need then we'll be delighted to help. Call us and let us release you from the constraints of the office and the chores or repetitive admin. Our cloud solution is fully scalable and is designed to grow as your business does. It boasts ample storage space providing a complete backup service by replicating your database onto three additional servers, all hosted here within the UK. Whilst searching for cloud solutions don't be fooled into thinking you need to keep things simple or restricted. We are happy to talk to you about your requirements, no matter how complex. We excel at creating bespoke solutions for unique business needs and delight in helping our customers streamline and grow their business. Pop in, say hi and grab a coffee with us. When you're at work, we're at work. We just love creating software. Discussing an idea with someone then bringing their idea to life is so amazing. We've been doing it for years and love it as much today as we did when we first started. Tell us your problems and we'll give you a solution. Problem solving is our business. Email us, Phone us or walk in and talk to us and let us take your problems away. Contact us now on 01255 830113, we are ready to discuss your specific software needs.